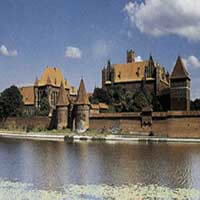 Wroclaw is the economical, cultural and intellectual capital of Lower Silesia. The city with its charming historical center, parks, good restaurants is a pleasant place to visit. Wroclaw Town hall is considered one of the most splendid Gothic buildings in central Europe. In Wroclaw you can also see the biggest baroque interior in Poland, which has remained untill today - the Leopoldine Hall, located in the 17th century University building. Don't miss the Ostrów Tumski, where one of the most beautiful sacral architecture buildings in Europe has been preserved. Bielsko-Biala is located at the foot of the Beskid Slaski and the Beskid Maly Mountains and has rich natural resources. The upper part of the Wapienica River valley, including the extraordinarily picturesque part known as Luiza's Valley are breathtaking. Among the most favored attractions are the numerous trails leading to the most enchanting nooks of the Beskidy Mountains. During the winter there are a number of very popular ski lifts. Other sites are: the Museum based in the Castle displaying art history, the Weaver's House - a reconstruction of the interior of a weaver's house, and Julian Falat's Villa housing the artist's paintings. Bydgoszcz is a beautiful city situated upon two rivers and a canal. 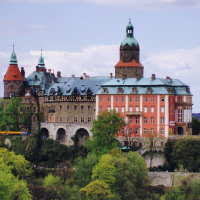 The historical landmarks are grouped along the Brda River and in the area of the Old Town. They include a late- Gothic parish church with the miraculous painting of Our Lady with a rose, old half-timber granary (18th/19th cc.) and a small Gothic-Renaissance Church of the Poor Clares. Bydgoszcz's opera and music festivals are highly valued by music lovers. Take a stroll through Augusta Cieszkowskiego Street - a unique and relatively homogenous complex of buildings erected in the secession style, referring to artistic tendencies of 19th and 20th century architecture. Czêstochowa is a city in south Poland on the Warta River. The town is home to the famous Paulist monastery of Jasna Góra (Bright Mountain) - one of the world's greatest places of pilgrimage, and its famous icon, the Black Madonna, that has drawn the faithful here over the past six centuries (reproductions of Black Madonna exist in almost every Polish church). There is also a Lusatian culture excavation site and museum in the city and ruins of a medieval castle in Olsztyn, approximately 15 kilometres (ca. 10 mi) from the city centre that worth a visit. 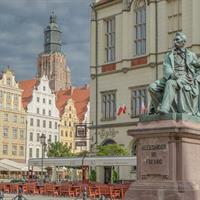 Wroclaw is the economical, cultural and intellectual capital of Lower Silesia. The city with its charming historical center, parks & good restaurants is a pleasant place to visit. Wroclaw Town hall is considered one of the most splendid Gothic buildings in central Europe. In Wroclaw you can also see the biggest baroque interior in Poland, which has remained untill today - the Leopoldine Hall, located in the 17th century University building. Don't miss the Ostrów Tumski, where one of the most beautiful sacral architecture buildings in Europe has been preserved. 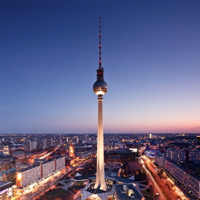 Combine Berlin, Wroclaw, Krakow and Warsaw with the EC and IC Trains. 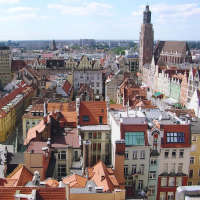 Combine Warsaw, Krakow, Wrocaw, Gdansk and Warsaw with the IC, EC, and RE Trains.